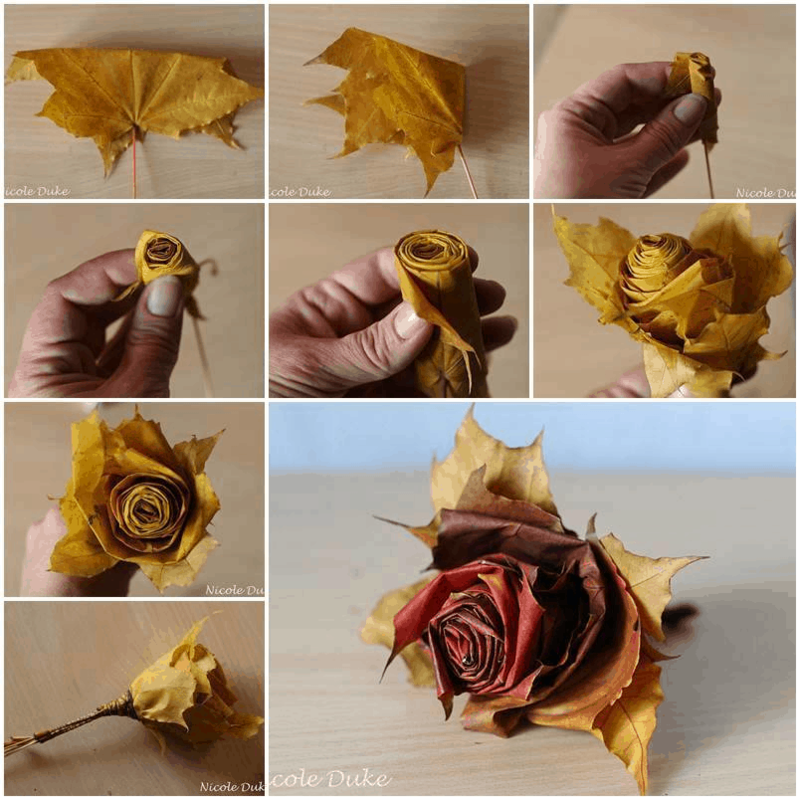 Easy DIY Fall Leaf Roses - Roses made from fall leaves! This DIY project is great for all ages and inexpensive! The leaves are so beautiful this time of year. What better way to enjoy a nature walk than picking up leaves to make these beautiful roses! The last for a really long time and each one is unique!